Which Animal Isn't Poisonous When Raised In Captivity? Maniac Mansion was a popular 1980s graphic adventure published by Lucasfilm Games for the Commodore 64 and Apple II. It marked the first venture into game publishing for Lucasfilm and was a run away hit, ultimately getting ported to the NES. The game received positive reviews and was frequently lauded for its well developed plot and film-like qualities. Given the praise heaped upon the game and its origins within the Lucasfilm publishing house, it was no surprise when a spin-off television show as pitched based on the game. 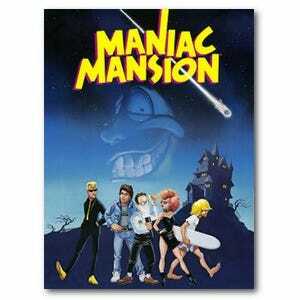 Produced in Canada but aired in both Canada and the United States, Manic Mansion the television show was loosely based off the characters and setting of the Manic Mansion. The show was well received as a sci-fi/family sitcom–fans of the original game can only imagine how far the black humor of the original game had to be toned down to pass as a family show–and aired from 1990-1993 with a total of 66 half-hour shows.